On January 4, 2018, the Trump Administration released a draft of its five year plan for offshore oil and gas sales, proposing to open up 90% of our nations marine reserves, including the California coast and the Santa Barbara Channel. If California is included in the final plan it will be the first time the federal government has opened our coast to new lease sales since 1984, when Ronald Reagan was president. This decision puts the coastal resources of California at risk of future oil spills and the damaging impacts of climate change. EDC has been the lead organization fighting against risky oil practices for the past 40 years. We have continuously won the battle against irresponsible fossil fuel projects and have done so with the support of the people of California and our state leaders. 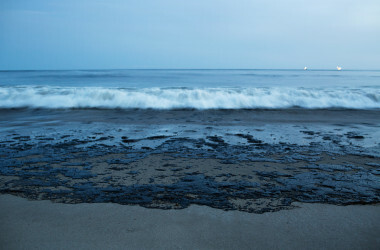 Our communities recall all too well the catastrophic impacts oil had on our coastline after the 1969 and 2015 oil spills, and this Draft Proposed Plan is in direct opposition of the needs and wishes of those who live along the coast and depend directly on California’s unparalleled coastal and marine resources. With the administration’s recent proposal for new offshore oil drilling, EDC will stand strong in our fight to protect our coast and marine environment, but we need your help!